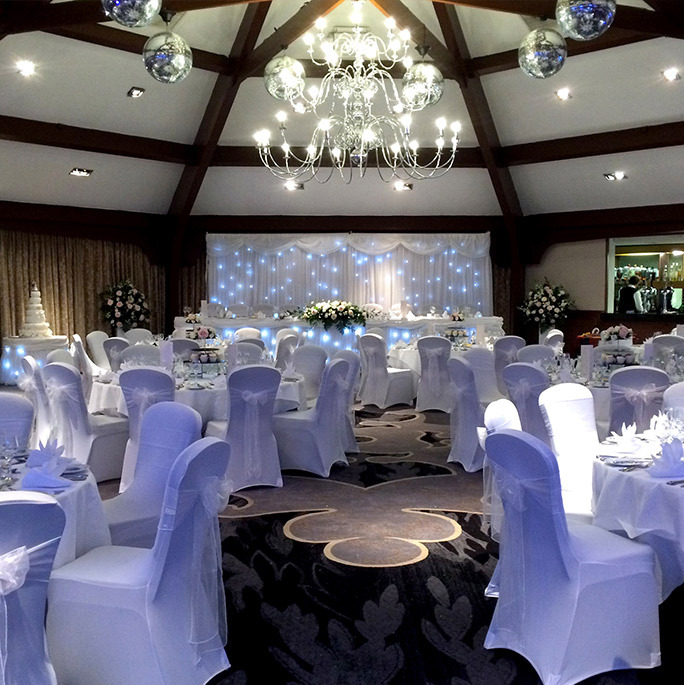 Airth Castle Hotel is a popular wedding venue located in Stirlingshire, 30 minutes from Glasgow. Gordy is a DJ had the pleasure of visiting this fantastic castle which dates back to the 14th century & was once owned by the family of Robert the Bruce – Emma’s family relation as she used to be a Bruce! The castle is perfectly complemented by the pretty courtyard building where you’ll find a restaurant, leisure club & spa and many of the 125 bedrooms. For a wedding couple there are 8 suites to choose from catering for all sizes of wedding party. We were delighted to be visiting the amazing Dunmore Ballroom. This suite is octagonal shaped with part panelled walls and stunning vaulted ceiling. It is also air-conditioned (a welcome addition for us entertainers!) and features a full service bar and a raised stage with easy access to the car park for load in! On arrival we were met by the delightful Hugh who is the master of ceremonies for the hotel. Not only friendly and helpful but this gentleman ensures that all wedding suppliers are happy and understands the format of the evening, leaving nothing to chance. We only wish more venues had someone as efficient as him! Gordy is a DJ loves the room as it is ideal for mood lighting as demonstrated in the photograph below. 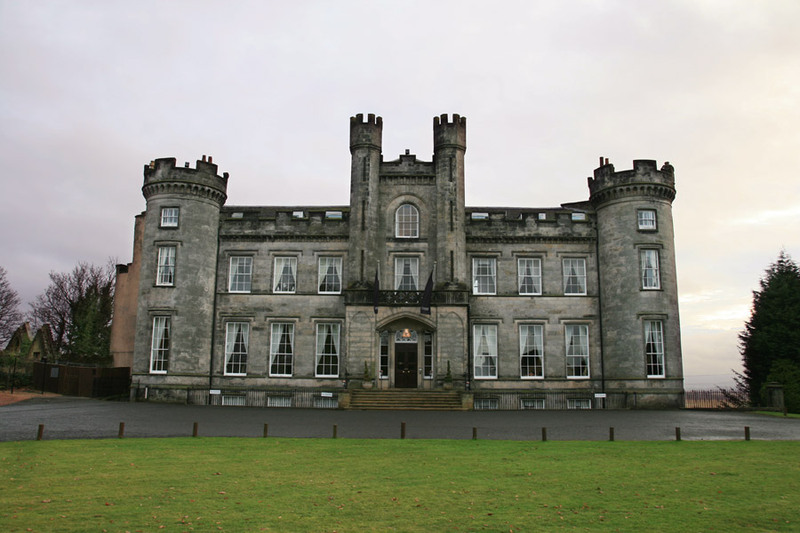 All the staff at Airth Castle are extremely polite, professional but still know how to have some friendly banter which we love while setting up our equipment for the evening. 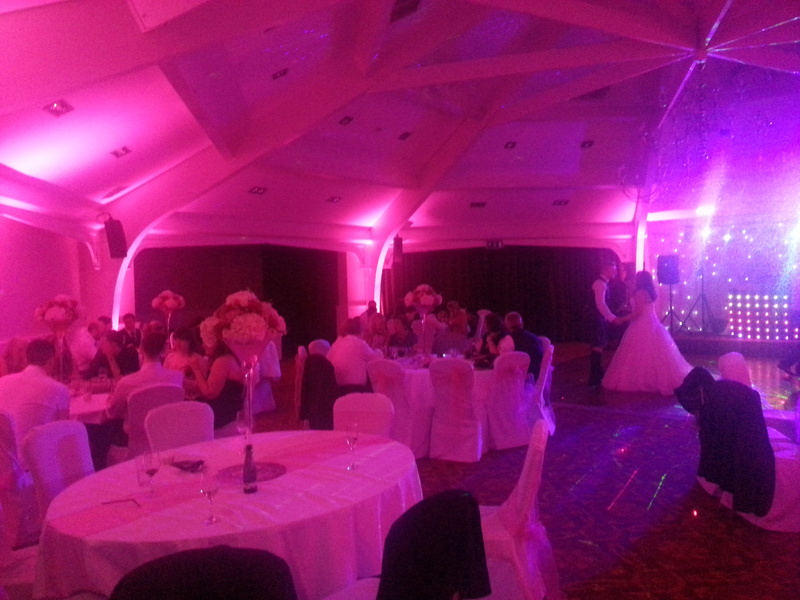 Any questions Gordy is a DJ had were answered quickly which makes our job so much easier – Thank you Airth staff! Choosing a venue for a wedding couple is a BIG DEAL! What one person likes, another may not – it is an individual choice after all. 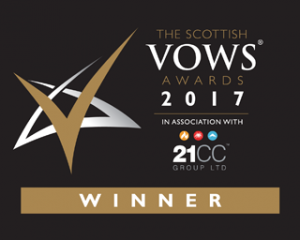 However Airth Castle is a venue that is not only special due to the beautiful setting (great for photographs) or fantastic food but the level of customer service that us as well as the wedding guests receive is nothing short of magnificent. We can’t recommend this venue enough! 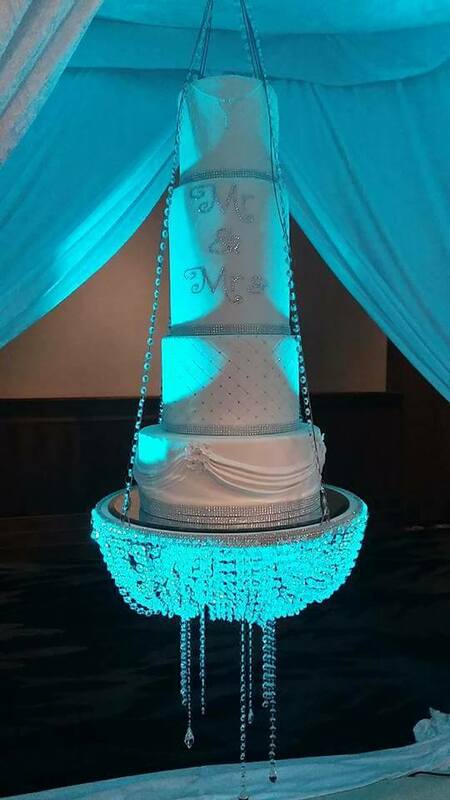 We were delighted to celebrate with Mr and Mrs Scott and we are sure they won’t mind us sharing this photo of their spectacular wedding cake! For more information about our award-winning DJ service, please contact us here.